Nona Hendryx is 70! Not that you’d guess – she was on amazing form at the Jazz Cafe a couple of years ago, looking at least twenty years younger and still supremely funky! Nona Hendryx first found fame in the cute girl group Patti LaBelle & the Bluebelles back in the 1960s. When, in the 1970s, they morphed into “glam rock, space-age divas” Labelle, she became the group’s chief songwriter. What a thrilling, radical and empowering group that trio of Patti LaBelle, Sarah Dash and Nona Hendryx was. Everyone who was alive in the 70s knows LaBelle’s biggest hit Lady Marmalade but it was in the early 80s that I first discovered Nona’s work as a solo artist. Collaborating with a host of seriously cool artists – among them Talking Heads, Bill Laswell, Laurie Anderson, Prince – she produced a series of albums that explored the intersection between RnB and rock, addressing issues of race, gender, politics and sexuality with wit and style and some thundering dance grooves. All the time looking fabulous! These records were hip and contemporary and exciting and they are still hip today: B Boys (which is actually about hustlers) with its big fat Kashif bassline; the funk/rock hybrid Rock this house (featuring Keith Richards); the hard-edged Flyte Tyme collaboration Why should I cry; her touching tribute to Nelson and Winnie Mandela Winds of Change (a duet with Peter Gabriel); the frantic dance workout I sweat (going through the motions) and the spacey, uplifting soul of Women who fly. 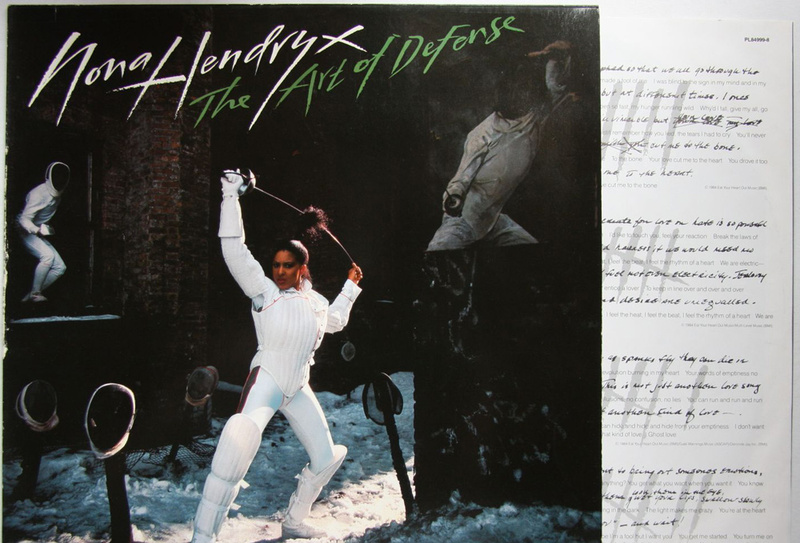 Nona Hendryx went rather quiet on the recording front after the late 80s, a victim – disgracefully! – of record company indifference. But she returned a couple of years ago with a new album Mutatis Mutandis that is as direct, political and funky as ever. I especially love The tea party with its tight groove, James Brown horns and mordant lyrics – “The tea party/The me party/They say he can’t be a she or she a he party”. Nona Hendryx remains an inspiring example of what an independent, thoughtful, innovative and committed artist can and should be. And she is still seriously cool. Happy Birthday Nona!